A man accused of throwing a vase at door staff the night a bouncer was brutally murdered outside an exclusive Mayfair party appeared in court today (WED). 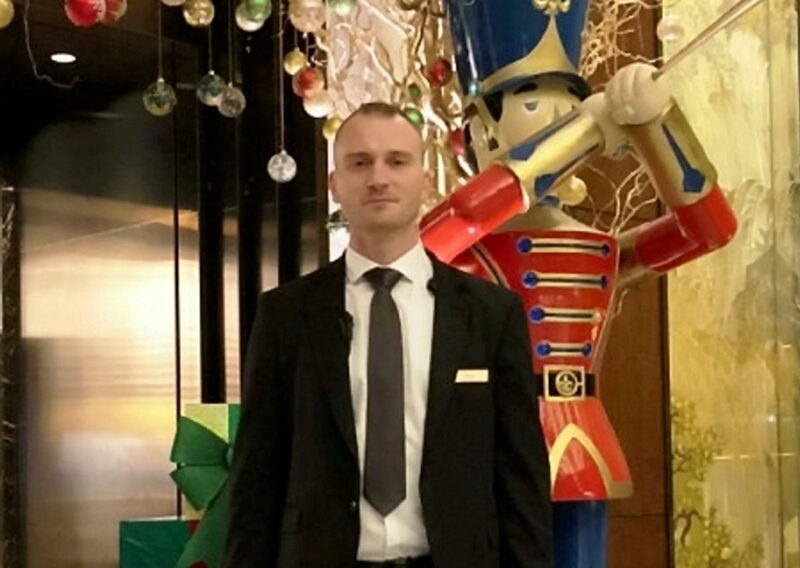 Security guard Tudor Simionov, 33, was stabbed to death in the early hours of New Years Day on Park Lane in central London trying to stop gatecrashers forcing their way inside. Mr Simionov, a Romanian national who lived in Ilford, east London, was pronounced dead at 6.05am despite the efforts of police and paramedics to save him. Ahmed Munajed, 25, appeared at Westminster Magistrates’ Court accused of using or threatening violence towards the door staff at 80 Park Lane where the party was being held. Trevor Green, prosecuting, said: “This case is related to the fatal stabbing of Tudor Simionov, where a doorman lost his life. Munajed, of Hammersmith, west London, indicated through his lawyer that he will plead not guilty to the single charge of violent disorder. He was remanded in custody until his next appearance at the Old Bailey on February 15. Wearing a grey tracksuit, he saluted his mother in the public gallery as he was led out of court. A woman has also been charged in relation to the incident. Shaymaa Lamrani, 26, was charged with perverting the course of justice while a man has been charged with firearms offences relating to an incident which happened just minutes before the stabbing. Lamrani is due appear at the Old Bailey on the same date at Munajed. Police have already named two “dangerous” men they want to trace in connection with Mr Simionov’s murder: Ossama Hamed, 25, and 23-year-old Aden Hamada. The son of notorious Islamic hate preacher Abu Hamza, 26-year-old Imran Mostafa Kamel, has been charged with possession of a firearm with intent to cause fear or danger that night, and possession of a firearm when prohibited for life. But Kamel was not charged over the murder. He has been remanded to appear in court again on January 31st.